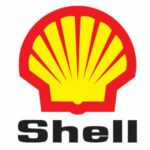 The Best way to prepare and excel in Shell Petroleum Development Company of Nigeria (SPDC) Job Aptitude Test is by studying this comprehensive and updated Shell Job Recruitment Past Questions and Answers. Do you want to Apply for a Job at Shell Nigeria or You got an invite to Participate in SPDC Job Aptitude Test/Exam, then this Past Questions and Solutions/Answers in PDF format is for you. The Shell Recruitment Past Questions you’ll get here contains answers that best defines each Question. This past Questions will help you have a clear understanding of how Shell assessment test/screening looks like. Using this e-book would give you an edge over others. The e-book contains questions from Verbal Reasoning, Numerical Reasoning, Abstract Reasoning, Basic Oil and Gas Knowledge Summary and more, with their answer explanations from Aptitude test they have conducted in the past. After payment, send a text to this number 08060833386 containing your full name, email address and Shell Past Q & A. Once your payment is confirmed, we will send your E-book to your email immediately. 2. Send a recharge voucher worth N2,500 with your full name, email address and Shell Past Q & A. We will send your E-book to your email immediately. Though I read public Administration but I am interested to work with shell oil n gas industry.